If you've been following along, then you know that we are down to our last three days of our blog hop. It has been so much fun sharing our projects with you. I saved my three favorite projects for the end. Just like every other day for the past several days, if you are blog hopping in order, then you should have just arrived from Heather Summers blog. Isn't Heather amazing? Now on to the hop. It really doesn't matter what order you view the projects, just as long as you make sure to visit everyone on the list. Today I will show you my favorite card. Do you recognize this stamp? What if I told you that it started out as a baby bottle? Yep, that's right! I am at the stage in my life where I don't attend a lot of baby showers, so it didn't phase me one little but to cut the top of that bottle right off...snip, snip! It all started because I had a mason jar filled with flowers sitting on my kitchen counter. I thought, wouldn't it be wonderful if I had a stamp of a jar that I could fill with flowers. This card went through a lot of changes before it got to it's final phase. I designed the base of the card in MDS. Then it went from digital to hybrid. Then I decided that it should probably be a traditional card, so I totally re-made it from the ground up. I don't make many shabby cards, but as I was working on it, I decided that it definitely needed to have a vintage look to it. I am not going to lie and say that this card was easy. It definitely presented a few challenges. But in the end, it was worth every single second that I invested in it! There are lots of details that you don't want to miss. I love the way the seem binding ribbon makes such a fabulous vintage bow. I smeared distressing ink on it, sprayed it with some water, scrunched it up and let it dry. That's all for today. Don't forget, we have two more days of award-winning projects to share, so be sure to check back. Now it's time to see what Sandra Farrell has to share with you today. As always, here's a little guide to help you along the way. Card Stock: Baja Breeze, Old Olive, Very Vanilla; DSP: Springtime Vintage; Classic Ink Pads: Basic Black, Baja Breeze; Blender Pen; Stampin’ Write Markers: Certainly Celery, Old Olive; Jewelery Tag Medium Punch; Stamp Sets: Tag Alongs, Herb Expressions; Perfect Polka Dots Embossing Folder, Big Shot Machine; Tasteful Trims Bigz Die; Antique Brads; 1/2" Seam Binding-Very Vanilla; Stamping Sponge; Linen Thread;Mini Glue Dots; Distressing Essentials Kit-Tea Stain; Heat Tool. 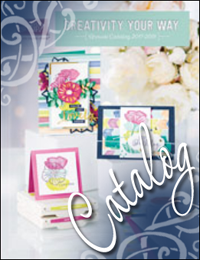 Tags: 2011 Artisan Award Winning Projects, Stampin' Up!